This is one of my favorite times of year because there are so many special traditions and holidays to enjoy. Each year I love adding new ways for our family to connect to each other and the seasons around us. We enjoy an advent tradition, make a winter bucket list, and we always spend the last week of November decorating the house for the Holidays! These special traditions are a wonderful way to create memories and truly embrace all that the season has to offer. Last weekend after struggling between whether or not we should get a new Christmas Tree we came to the conclusion that it was about time we got our first REAL tree, so we headed to the Christmas tree farm, Country Pines, to pick out the perfect one! 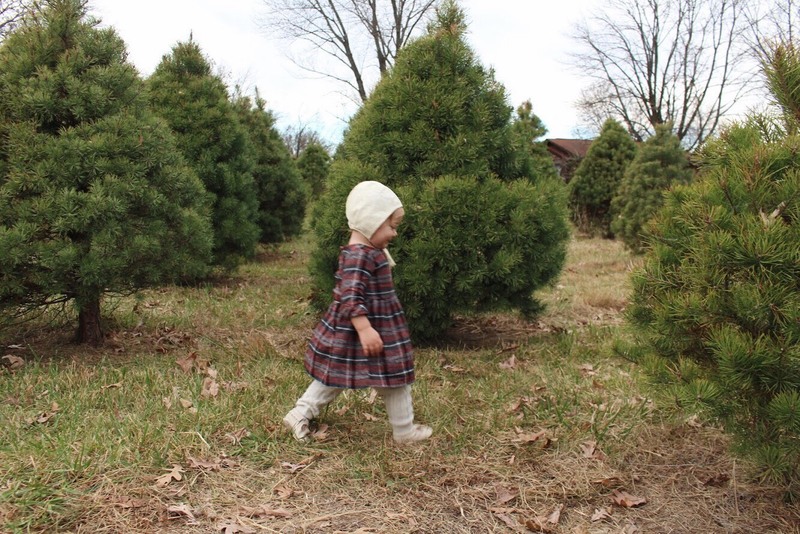 I visited a Christmas tree farm as a kid and it is still one of my favorite childhood holiday memories so I knew that our children would find the whole experience magical. Boy, was I right! We had the most fun scouting out the perfect tree, sipping on hot cocoa, and we even saw Santa and Mrs. Claus for the first time this season. The boys got dirty and did the honors of cutting down our sweet tree while us girls cheered them on with excitement. Then dad dragged it off to be trimmed, tied. and ready to take home with us. The big kids watched our shadow the whole way home as we drove, making sure we didn't lose our precious tree and couldn't wait a minute to get it home and decorate it! Needless to say, I think we've found a new family tradition that we can enjoy year after year! Have you ever had a real tree?